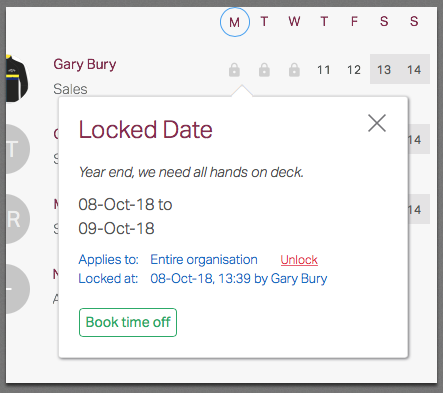 Now you can lock off periods in your Timetastic calendar to place a restriction on who can/ can't book time off on certain dates. 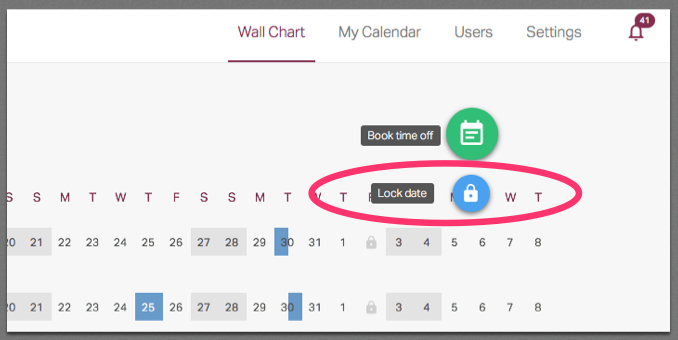 The detail window on the Wall Chart provides information on the lock, and for Admin Users and Department Bosses, the option to Unlock or override i.e. 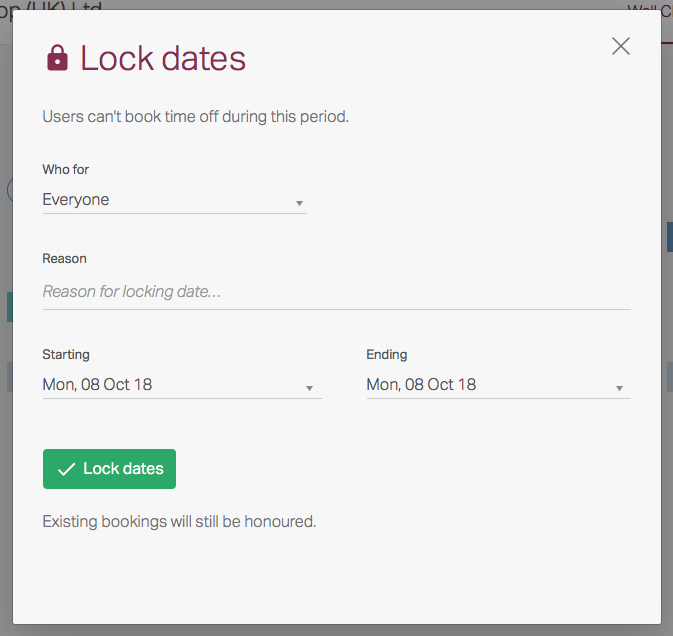 to make a booking in spite of the lock.